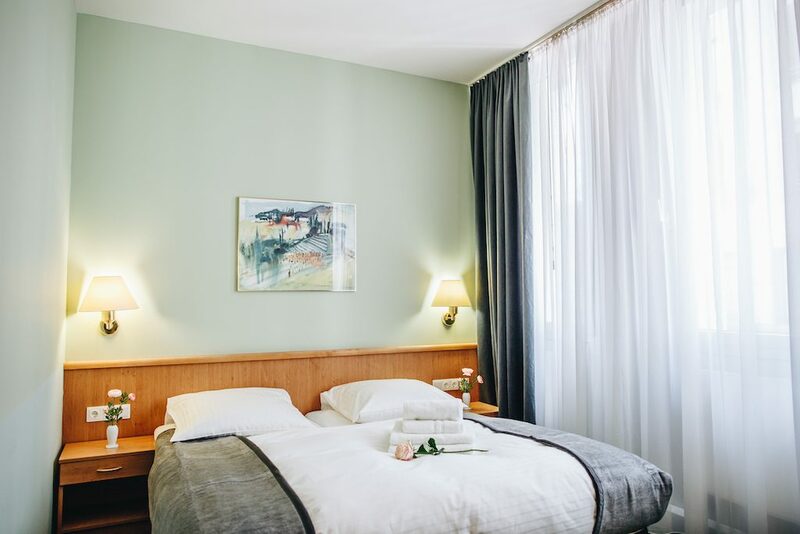 At the Hotel Helle Mitte in Berlin-Hellersdorf you will find a small hotel with a heart and family charm, which offers affordable accommodation for individuals. We offer incredibly affordable prices, cozy, modern, functional and fully-equipped single rooms in the German capital, for all the sightseeing tourists, travelers, tourists and business travelers looking for an affordable single room in Berlin. Quality does not have to be expensive! Choose the affordable accommodation in Berlin and save your money “while sleeping”! Stay in the Hotel Helle Mitte and keep more money in your pocket for all the many attractions and events that the German capital still has for you. Our single rooms are clean and tastefully decorated and have a private bathroom with a shower, toilet and all accessories such as hand towels, bath towels, shampoo &amp; soap and hairdryer. Our comfortable and convenient single beds are cozy and invite to relax and linger. A separate work desk with chair provides a convenient workplace; each room has free High- Speed WiFi. Each of our rooms is provided with a fully equipped minibar, a modern TV and a ventilator. You can also enjoy our varied breakfast buffet. Rest and relaxation or vibrant city life? You have the choice! metropolis and experience the vibrant city life of Berlin. The convenient location of our hotel can offer you both, because we have a quiet location and a direct and fast transport connection to the well-developed network of public transport in Berlin. For drivers who want to travel by car, we provide our in-house free parking. and concerns, we always have an open ear for you.